Congressman-elect Raja Krishnamoorthi’s swearing in Tuesday comes just weeks before President-elect Donald Trump’s inauguration and Krishnamoorthi isn’t taking that lightly. As a Democrat, Krishnamoorthi is concerned that Obamacare may be repealed. “Twenty to 30 million people might lose their health coverage and it could cost Illinois almost $100,000 jobs and $12 billion in lost gross domestic product for Illinois, he said. 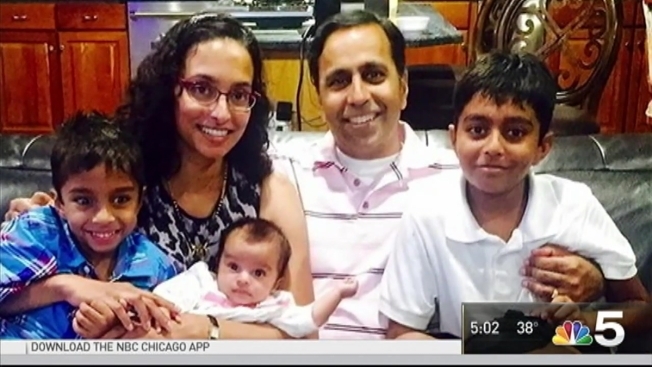 Born in India, Krishnamoorthi’s family moved first to New York then Peoria, where his father was a professor at Bradley University. Krishnamoorthi became a successful small businessman after graduating from Harvard Law School and says he will keep the middle class his priority. A dozen years ago, Krishnamoorthi worked in the Obama Senate Office as his issues director. His first two tries at public office ended in defeat. This time, he blanketed the airwaves with TV ads for his recent 8th District Congressional race. On Tuesday, Krishnamoorthi will be joined by a large contingent from his Peoria home and his family as they watch him join Congress.